AutoNet Financial has been helping people with credit problems get approved for used car loans via local lending companies and dealerships for years. Don't get caught waiting until the absolute last moment to buy a used car, even with bad credit. Getting the best deal from an auto loan financing companies only takes a little research. With such a wide vareity of auto loan options available, finding used car loans online for people with poor credit shouldn't be too difficult. Is the application page on a secure connection? Is the website a part of the BBB and what is their current reputation? What types of resources are available on the site to learn about bad credit, poor credit, and no credit financing options. How about an auto loan calculator to help give you an estimated amount of approval. Is there a listed phone number you can call? How about a live chat? Some, if not most of the best car financing dealers don't even directly fund their loans. 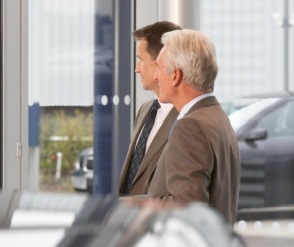 With such a surge of dealerships starting to provide their own financing many websites have established their own network of dealerships and other lenders to help keep costs down for customers. The visitors will be able to fill out a application form at no cost to find local car loans for bad credit scores in your area that you are already qualified for! Here at AutoNetFinancial we help provide our customers with the best used car loans you can get with credit problems. Our network of various types of dealerships and finance companies that provide bad credit auto financing has been around for the last 22 years.